The Miyetti Allah Cattle Breeders Association of Nigeria, MACBAN, has rejected the Vice President, Prof. Yemi Osinbajo-led panel that should find lasting solution to clashes between herders and their host communities mainly in Benue and Taraba. The group strongly believes the Osinbajo-led committee on killings by herdsmen would not produce the desired result with the inclusion of Taraba’s Ishaku and Samuel Ortom of Benue. North East zonal Chairman of the Miyetti Allah, Alhaji Mafindi Danburam, told Punch that the two governors, who have promulgated “military decrees” in their states, would influence other members of the committee . He pointed out that the ban on open grazing was anti-Fulani. Danburam said, “The committee would not produce the desired result with the inclusion of Governors Darius Ishaku and Samuel Ortom of Benue. “The two governors, who have promulgated military decrees in their states , will make attempt to influence other members of the committee . 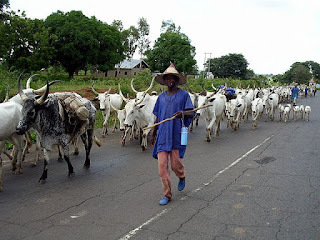 The ban on open grazing is anti-Fulani.